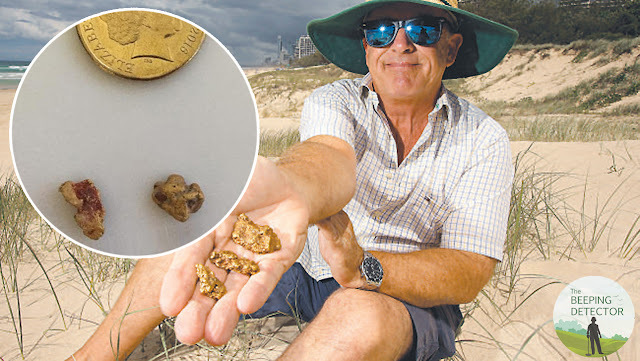 Beach comber enhances wealth once again through gold finds on lucky spot. Mr.Gregg Cooke from Australia is a regular treasure hunter and gold prospector at Surfer's Paradise beach. 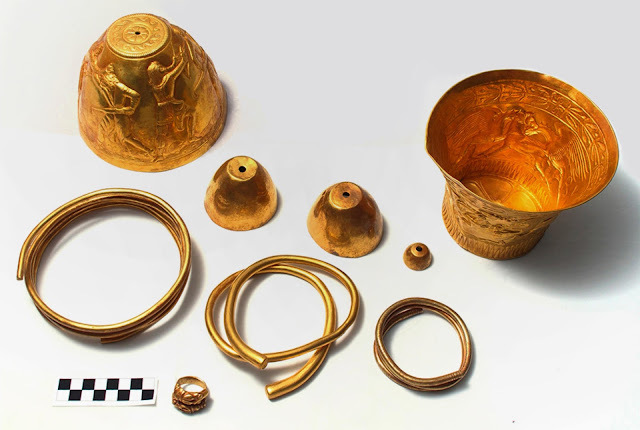 His efforts have been rewarded multiple times with various finds. He found 3 gold nuggets initially and struck even more luck with a follow-up find of 4 more nuggets. Mr. Cooke said he and his mate reckon the nuggets are most likely scattered broken fragments from the same rock. The spot where his finds originate from is a closely guarded secret.